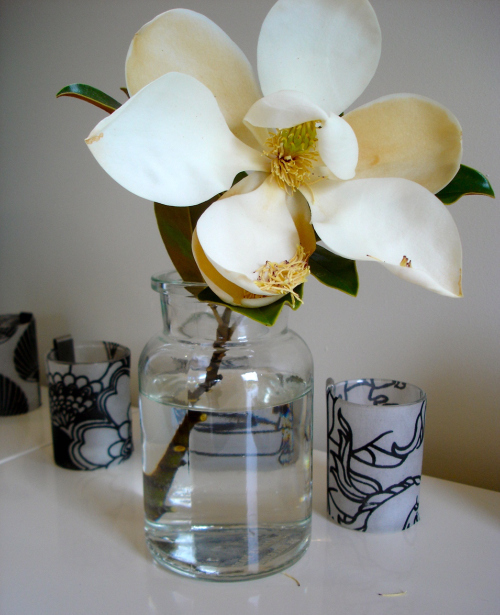 i love cutting a magnolia bud from the garden & bringing it inside.. and because the blooms are so short lived, i don't have the guilts about doing it. they seem lucky to last 24 hours & even less outside on the tree. quick. Great shot captain! What sort of camera are you using. I bought a new point and shoot before we went overseas last year, but i'm thinking it's time to get serious. hi jules, it's just my trusty old sony cyber shot point & shoot, but i always quickly adjust my photos in iphoto. i would also love to upgrade to a new SLR with a great macro function.